Polls opened for early voting on 31 and 30 March. Earlier this month, the Union Election Commission (UEC) announced the list of people eligible to cast early votes, which included election officials, civil servants, elderly citizens, residents with poor health and prisoners. NLD’s candidate Win Myint from Irrawaddy division’s capital Bassein said his party’s monitors visited a polling station but were told to leave by election officials. According to the candidate, the party’s monitors dealt with intimidation. “The officials said ‘There’s nothing for you to see – you don’t need to know anything.’ The [monitors] came back and informed me so I reported this to the Election Commission,” said Win Myint. Meanwhile, independent election monitors in another Irrawaddy town, Pyarpon, said envelopes containing ballots that were cast yesterday were supposed to be sealed but had been opened. He said the monitors also found that early voting tickets at the station in ward 14 were missing official stamps and signatures. Ba Thet Aung also claimed that party representatives at the ballot station in Koeintan village report being ordered to leave by the village’s election chairman. 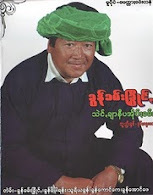 The NLD’s candidate Khin San Hlaing in Sagaing Division’s Pale township made similar claims. The candidate filed an official complaint, but the town’s Election Commission did not take any action. There was widespread allegation in the 2010 election that the junta-backed Union Solidarity and Development Party tampered with early ballots that allowed for the group to earn a landslide victory.